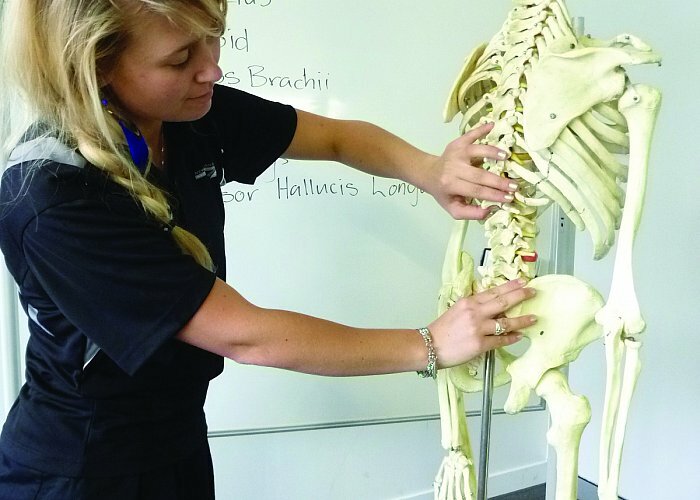 Within all NZCM qualifications we include a comprehensive and multi- faceted clinical programme. You will have opportunities to practice and extend your growing skills under supervision, both within the college as Student Clinic practitioner and beyond the College in our Community Placement Programme. The Community Placement Programme is a valuable opportunity for you to gain practical experience in a supervised environment that provides a real world application of your classroom learning. We have arranged placements in areas of palliative care, professional sports teams, working with the elderly, on-site massage, national sporting events and working alongside other health care providers. Certificate in Massage You will have the opportunity to apply your skills in a practical environment, providing relaxation massage to members of the public. Your clients fit the scope of practice for students in these clinics, as they are generally fit and healthy and free from any injuries or health conditions. You will use your skills to provide excellence in care for your clients, both in clinic and on placement. Your knowledge and skills will include advanced Level 5 physiology and anatomy, client care, information collection and analysis to identify the most effective quality of touch and relaxation techniques to promote health and wellness. Clients may include pregnant women, the elderly, palliative or terminal illness clients and active sports people. You will tailor sessions individually to reduce stress levels in these and other populations. You will consolidate learning from Semester 1 clinics and theory classes and expand your knowledge base, in tandem with your Semester 2 classes. You will further develop palpation skills, clinical reasoning, begin to treat soft tissue dysfunction and create a client health care programme. This part of the clinic offers you the chance to work with a range of people presenting with varying degrees of soft tissue pain and tension. You will work with a variety of athletes and active sports people. You will carry out additional assessments of clients and create effective treatment plans to enable each client to reach their required outcomes, whether it is injury prevention, increased range of motion, recovery from injury, or enabling them to maintain flexibility with stability in movement. In addition to clinic during the final year of the Degree programme, you will undertake two case studies, based on clinic practice. You will work with clients over a six week period and will integrate all aspects of your learning to-date, including massage techniques and assessment skills, combining psychosocial, biochemical, biomechanical elements and you will support this knowledge with relevant research. You will present the final case study to an NZCM panel as the major final assessment of your Degree.